We've been having an unusually cool summer. Last Monday, the 1st of February, the official minimum temperature was about 9°C, the coldest Feb morning in 95 years. At our home, our outside thermometer read 6°. All this when the usual summer morning would range from 20-25°. 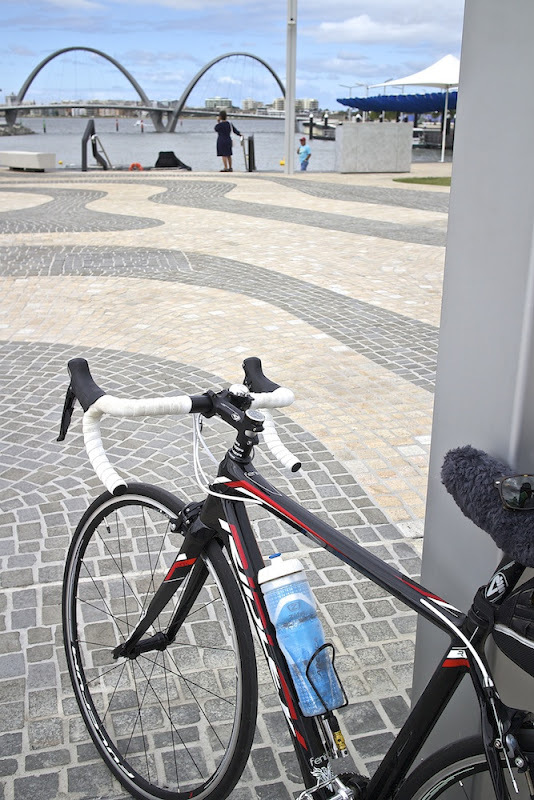 As the forecast maximum was only 23°, it was a perfect day to ride out to see Elizabeth Quay, which was officially opened the Friday before. 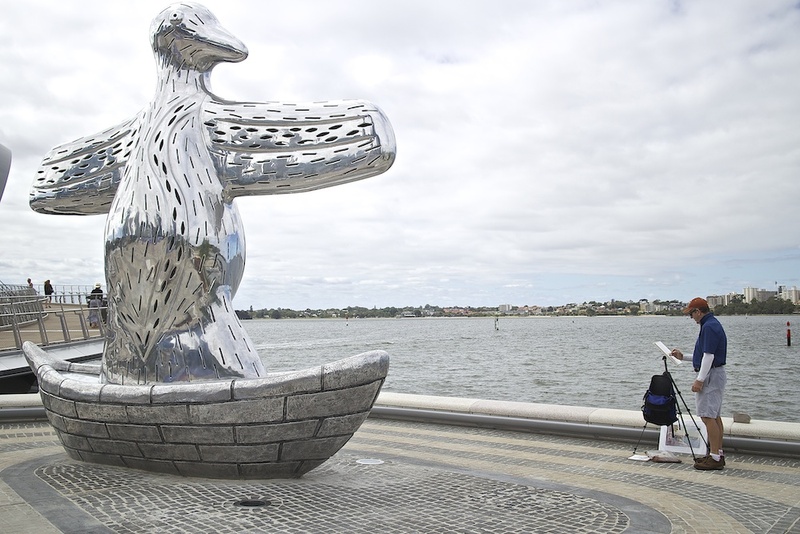 This is a sculpture called "Spanda" by the artist, who said that the word Spanda means "divine vibration" and is used to describe the movement of consciousness. Locals already call it the paperclip. 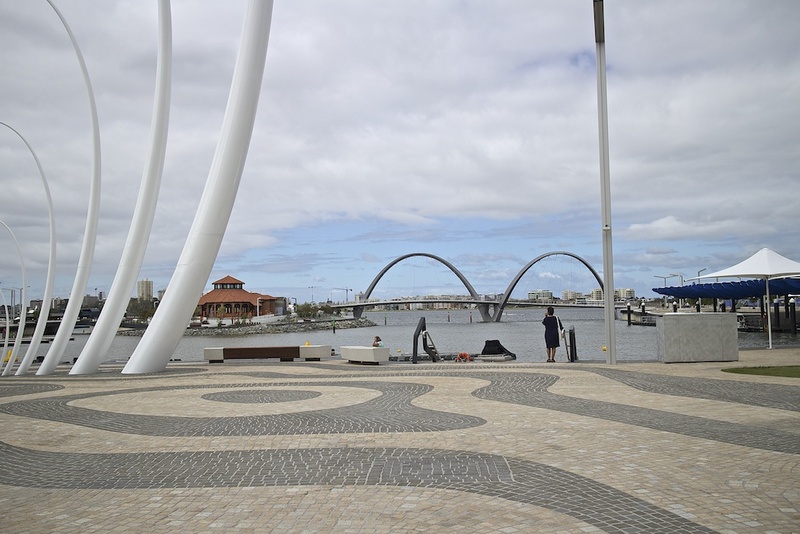 The above shows the view looking from the city outwards towards the Swan River. My bike. 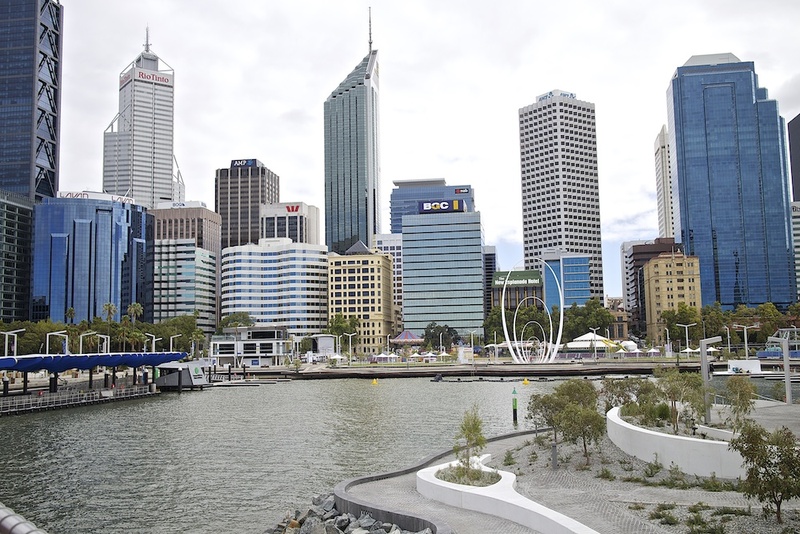 The dark blue awning (top right of pic) is where you can catch the ferry to and from South Perth. 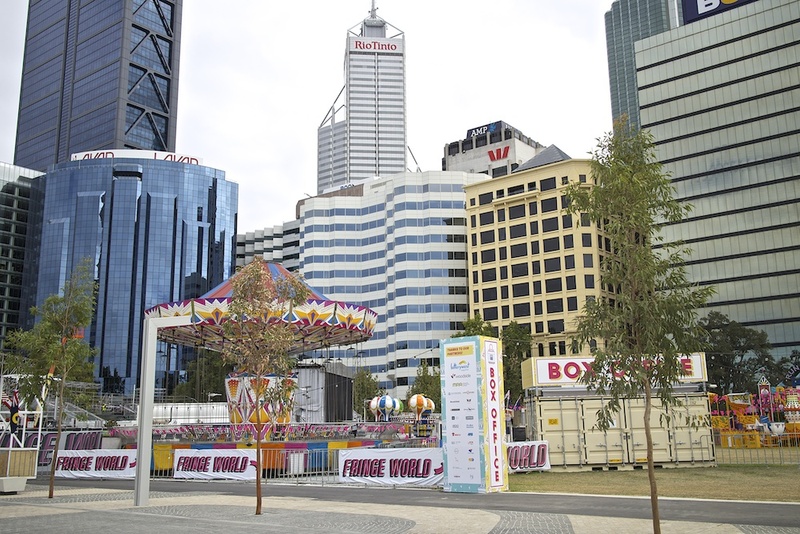 Looking towards the city, the fairground is a temporary attraction. That circular brick building is heritage listed and used to house a Chinese restaurant in the Esplanade and has been dismantled and rebuilt here. The Bell Tower is the glass spire on the right, built maybe 20 years ago. A view of the city from the footbridge. The brown AMP building was the tallest building in Perth when we came to live here. 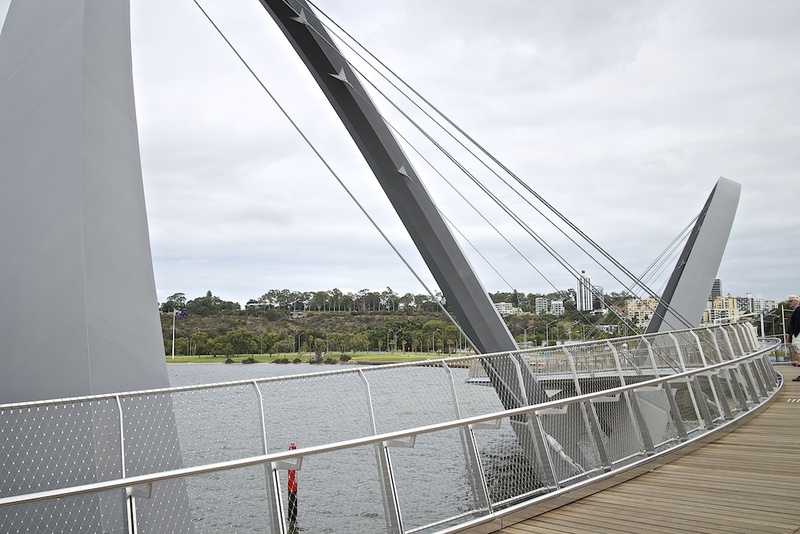 The foot and cycle bridge. The sculpture, First Contact. This interesting article explains it. 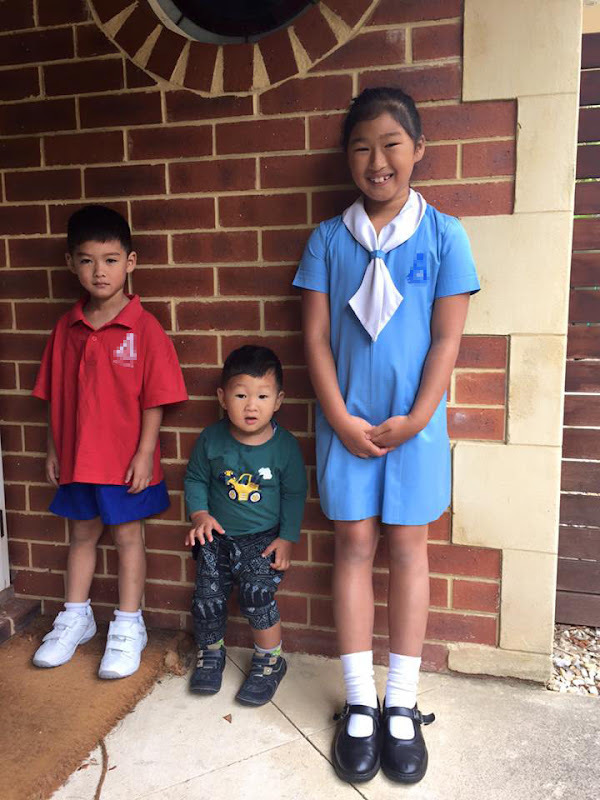 That day, the 1st of Feb, was also the first day of school for 2016. And, after the coldest Feb day in 95 years, we are expecting the hottest heatwave in Feb in 85 years - with at least 5 consecutive days 39 to 41°C, starting tomorrow. Yes, but generally, summer's not my favourite season. I don't like the hot weather. January and February are the worst months for me. Beautiful! Such lovely views. Oh? Your little grandson is going to school too. Bet he'll be the teacher's pet. LOL!!! No, the littlest one is not yet 2 years old. He's still at home. 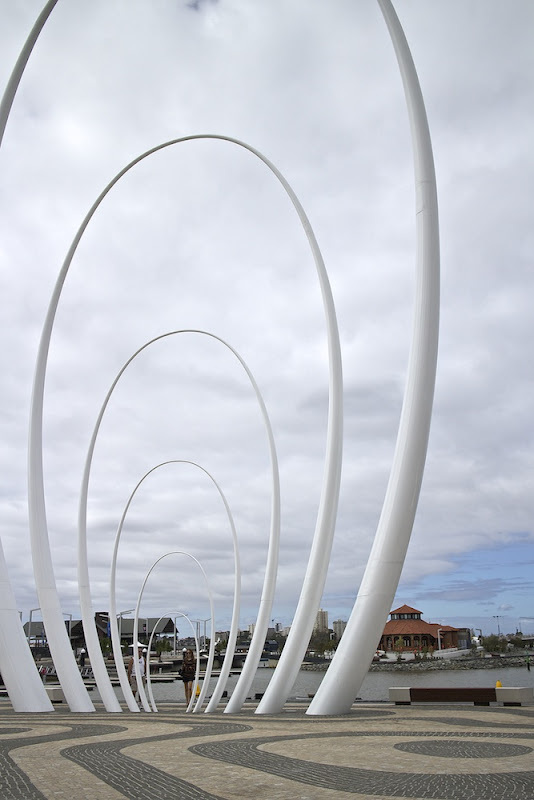 A commendable effort to put Art into the City. 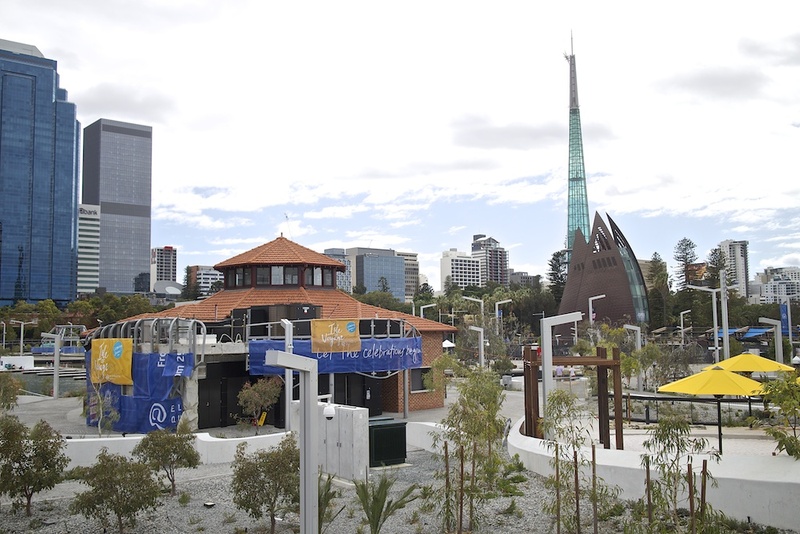 Perth also has a natural landscape for this. Climate change is creating havoc all over. Interesting to note that Perth is below 10C in Summer. In Singapore we are getting the sun and unexpected sudden downpour which last for short spurts..very odd...not sure whether it should be hot, humid and sunny or overcast and rain -times of unpredictable weather indeed. Yes the weather is going funny. But if the climate change includes cooler summers here, then I'd have no complains. Don't like hot weather. I've never been inside - too stingy to pay the entrance fee. There is hardly any sign of people in the beautiful photos. Where are the beautiful people? All at work! A few old guys were around, like that artist painting the sculpture.